ONE OF THE best original theatrical productions last year was the musical version of “Maynila: Sa mga Kuko ng Liwanag” at Kia Theatre, directed by Joel Lamangan. 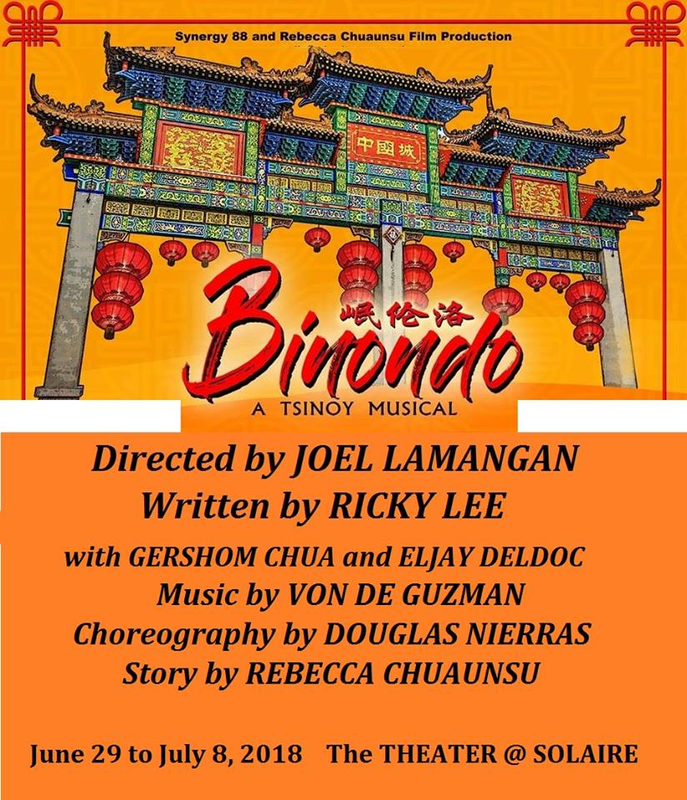 Some Chinoys allegedly complained because they felt that Chinese Filipinos were not portrayed in a good light in that show, so now, Joel has come up with another original Filipino creation, “Binondo: A Tsinoy Musical”, about the positive contributions of Chinese Filipinos in our community. 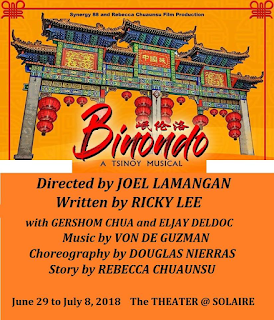 This will be shown at the Solaire Theatre from June 29 up to July 8. The handpicked powerhouse cast is like a who’s who in Philippine theatre, led by Sheila Martinez, Carla Laforteza, Arman Ferrer, David Ezra, Floyd Tena, Noel Rayos, Ima Castro, Rita Daniela, Mariella Laurel (daughter of Ayen), Lorenz Martinez, Franco Laurel, Tuesday Vargas, Ana Feleo, James Pebanco, Khalil Kaimo, Ashlee Factor, Kaye Balajadia, Jennifer Villegas, Dondi Ong, Elizabeth Chua, Russell Magno, Elrica Laguardia and Rhapsody. 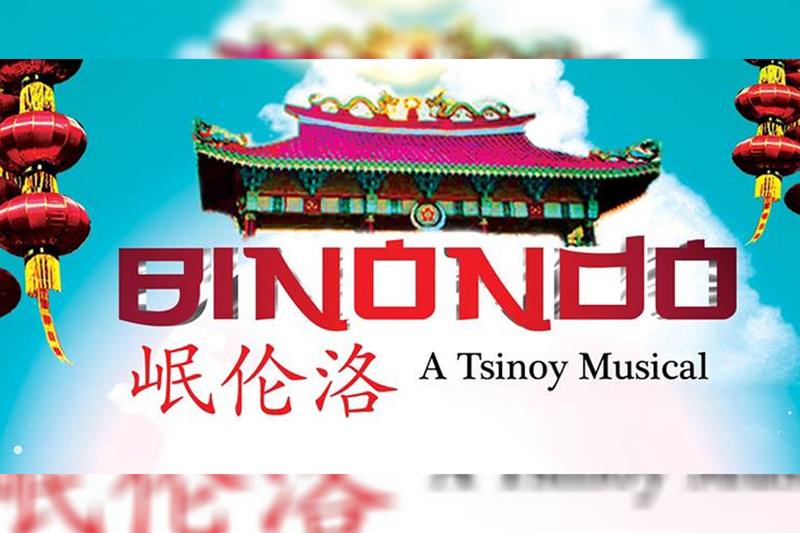 The script of “Binondo: The Musical” is a collaboration of Ricky Lee with Gershom Chua and Eljay Deldoc, based on a story by Rebecca Shangkuan-Chuaunsu. The musical score is composed by Von de Guzman, just like what he did for “Maynila: Sa mga Kuko ng Liwanag”. Choreography is by Douglas Nierras. 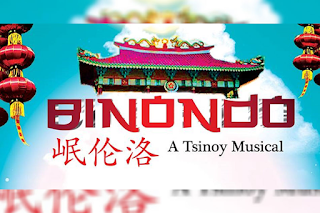 The musical will revolve on the love story during the pre-martial law era between a Pinay night club singer, Lily, and a Chinoy scholar from the mainland, Ah Tiong, that starts on a fateful night in the mid-autumn festival of 1971 when the moon is at its fullest at the heart of Manila’s Chinatown in Binondo. Lily is a hopeless romantic who finds her unlikely great love in Ah Tiong, a cynical man from Communist China who doesn’t believe in destiny. Also in love with Lily is a local Chinese boy and childhood friend of hers, Carlos, who hides his feelings for her but eventually finds the courage to tell her about it. This makes the story a touching love triangle focusing on the different ways of giving and receiving love, full of heartbreaks and sacrifices while the Cultural Revolution is raging on in Beijing. Watch out for its opening in June.